Hot Damn! I don’t just say that because this thing’s got some kick, but hot damn is it good. For those of you out there that haven’t heard, Four Roses puts out a limited edition small batch bourbon each year that will knock your socks off. The LE Small Batch is a blend of three different Four Roses recipes. In this case, we have OESO as the anchor with OBSV and OESK mixed in. Both the OESO and OBSV were aged for 12 years, with the OESK aged for 16 years. 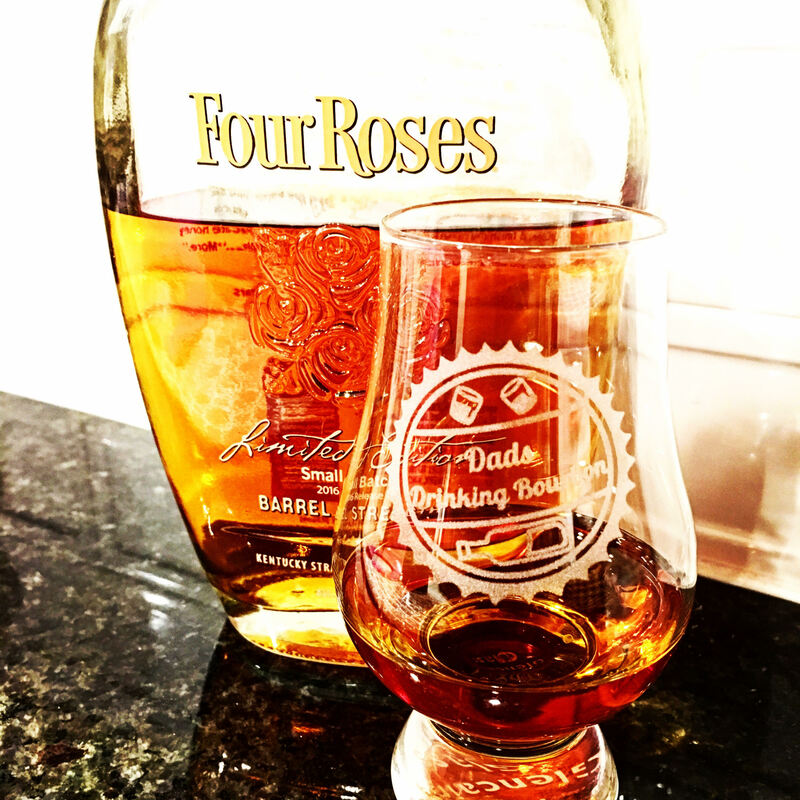 If you are just getting into Four Roses, they can be really interesting because each of their recipes brings a different taste. If you’re curious as to how to break down the recipes, I found a good article on Bourbonr that helps you do it. So back to the bourbon. Wow, what a rush of spice as soon as you get that first taste. My mouth was overcome with a smoky oak and tobacco heat and spice which tingled my lips and mouth. It’s easy to tell that this one is a barrel strength. After the initial heat, you’re then given a wave of honey, fruit, and caramel that washes over your tongue and trickles all around your mouth. You think that the taste may be done, but that’s when the heat then finds its way to your throat and tip-toes its way down to your stomach. Overall Verdict: You may be surprised to hear me say this, but Sip It. Unless you have the ability to find it MSRP then in that case you should buy it… Unfortunately, the only chance that a lot of us will have to find this one will be through secondary means which means you’re looking at least $200 to get it. In that case, find yourself a great store pick single barrel barrel strength and enjoy your night.